A platform that creates web-pages and professionally designed web interfaces; that could be enriched with elements of multimedia, external links; and it enables the user to integrate media content on his own website. 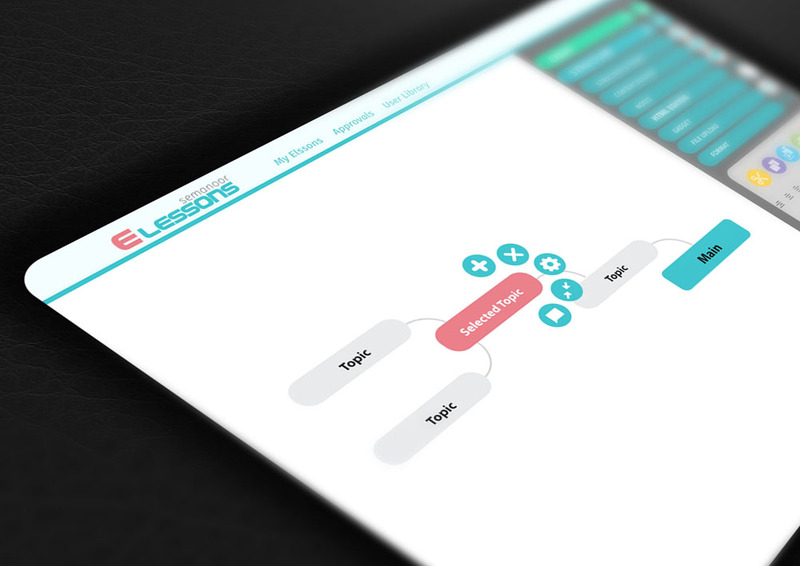 You don't have to know programming to use E-lessons! It simplifies the use of other Semanoor applications. And it empowers the user with a wide range of features and characteristics that help to create a distinctive web-pages in the fastest and simplest. This system enables all teachers to create electronic interactive lessons as web-pages in various grids, layout schemes, and characteristics that fit their students' learning material all educational methods that they deem appropriate. With the possibility of continuing to build this online package of lessons for further development or edit, teachers can export them to class in second. Eventually, students will become able to preview and understand any lesson online wherever and whenever he is. © 2015 All Rights Reserved. Developed by Semanoor International Co.